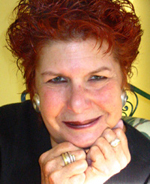 Mama Donna Henes, as she is affectionately called, is an internationally renowned urban shaman, award-winning author, popular speaker, and workshop leader whose joyful celebrations of celestial events have introduced ancient traditional rituals and contemporary ceremonies to millions of people in more than a hundred cities since 1972. She has published four books, a CD, an acclaimed quarterly journal, and writes online for the Huffington Post and UPI’s Religion and Spirituality forum. Mama Donna maintains a ceremonial center, spirit shop, ritual practice, and consultancy in Exotic Brooklyn, New York, where she works with individuals, groups, institutions, municipalities, and corporations to create meaningful ceremonies for every imaginable occasion.